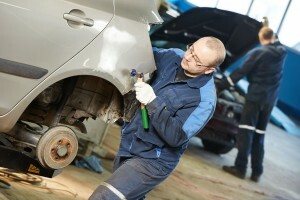 Proper Auto Body in Dallas is your full service collision, repair, restoration & custom shop. We are equipped to repair everything from minor fender benders to major collisions and magazine cover “one-off” custom builds. Our crew of experts are talented and trained to use the latest in high tech equipment for assessing and repairing damage to all makes and models of foreign and domestic autos. We have you covered. Excellence in customer care is a priority for us. Proper Auto Body & Automotive is outfitted with the latest in high tech collision repair equipment, specialized for any project, regardless of the size and scope and managed by a team of people who are dedicated to delivering top notch, professional service. We pride ourselves in our customer service, and your satisfaction is our number 1 goal. Both your vehicle and you will receive the best service and the best repairs possible… that’s our promise. At Proper Auto Body Dallas, we guarantee the work we do will always be the highest quality possible, as quickly as we can and, at competitive prices. We guarantee all of our work and know you’ll be happy with the outcome. Stop in or give us a call at 214-717-9071 to let us know how we can help you.